Because what we have here is a box. And not just any old box – which might just possibly be slightly intriguing – but a box which is deliberately designed to work passively. A passive box. Is it possible to sound any more downbeat? Can’t you just feel the intellectual stimulation evaporating faster than spit on a barbie? 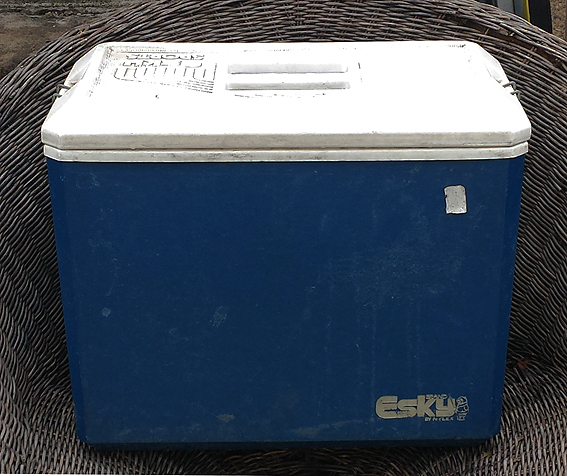 Because, after all, that’s what a cooler is: just a blue block sitting there solidly, day after day, stubbornly resisting the laws of thermodynamics. Is it even possible to tell when a cooler has died? In theory, no matter where it is, it just keeps on doing what it has always done; silently, unobtrusively, almost imperceptibly insulating. 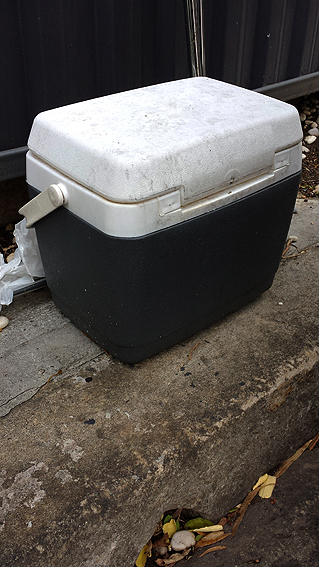 At times it can be hard to tell if these coolers have been abandoned or simply left outdoors in case they are unexpectedly called upon to keep something cool. Confession time: I have occasionally taken home a discarded cooler, thinking that it might make a nice addition to my collection of coolers (just joking! ), only then to experience a slight pang of conscience that perhaps the cooler in question was not dead but merely resting. It’s hard to give a second life to something which was barely breathing in the first place, if you get my drift. And so suddenly, you know, against all odds, the cooler is starting to look a little… err… cool. So there’s probably a moral in there somewhere. Maybe even a take home. So to speak. I’ll leave that for others to sort out. All I know is that I’ll be giving those dead coolers a little bit more attention from now on. Respect.